IF you are here for the best information about Al Khidmat Foundation Scholarship Scheme 2019 For Balochistan Students Intermediate then you are at right way because from here students can get full information about Al khidmat foundation and the NTS form along the roll number slips for all the Balochistan students and their results. Every year Al Khidmat Foundation offers scholarships for the students who are needy only on merit basis. 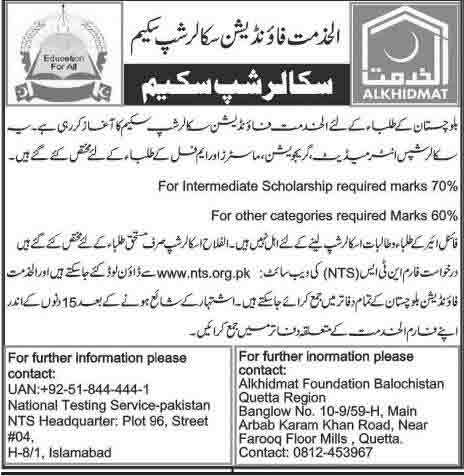 This year 2019 Al Khidmat Foundation also announce to give scholarships to all the students who are purely eligible for this but they have to give a test of NTS. A lot of candidates apply for the Al Khidmat Foundation scholarship this year many students also apply for the scholarship that’s why we suggest students that if you are also eligible then you can apply for the Al Khidmat Foundation scholarship online. students of master level bachelors MPhil or PhD level can apply for this scholarship. Candidates who don’t have any financial support can apply for the scholarship because they are eligible for Al Khidmat Foundation scholarship. 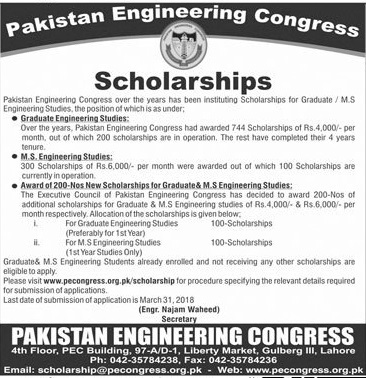 If students want to here full information about this then they have to check the further paragraphs or also consult the advertisement that is attached along this article. candidates who are here to get the scholarship then they have to check that they are eligible for scholarship or not. So, the students who to have 70% marks in their inter level have the chance to get the scholarship. the candidates of other categories have the golden opportunity because they can get the scholarship if they have 60% marks. Candidates of final year are not eligible for the scholarships also keep I mind that the scholarships will only be given on the merit basis. For more information candidates can consult the advertisement that is attached along this post. All the candidates who want to get the Al Khidmat Foundation Scholarship then they have to give an NTS test that is compulsory to pass the test in good marks if the candidates are here to check the roll number slips or the result of test then they are at right place because from here they can get the full information but the information is not officially announced if we get any type of information then we upload it soon.